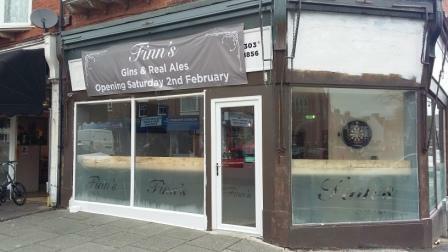 The external signage says Finns with Gin and Real Ales written in smaller letters underneath whilst the flyers inside call it Finn's Bar. No doubt some pedants will tell me that I have got the name wrong on this site. This pub has been open for one week and is probably work in progress. There appears to be a strong emphasis on darts in here. The pub is found in Folkestone, Kent, CT19 4ET. A conversion of a former steak house that used to be known as Jack's Shack, it is now a fairly spartan bar with darts and a television screen. Three cask ales are served along with some keg beers and a selection of gins.